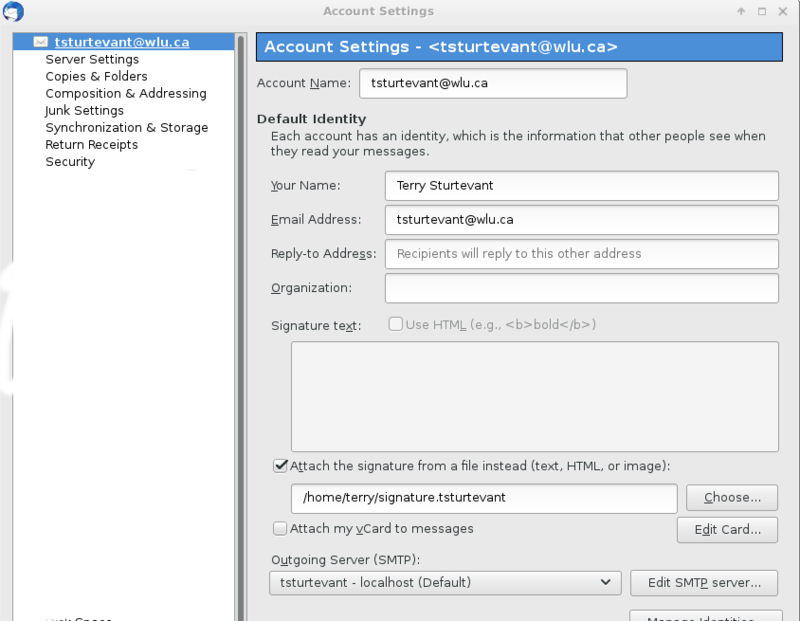 For people at Laurier not running Windows and/or not running Outlook on a Mac, it's possible to use email clients like Thunderbird using DavMail, a java-based program which runs as an intermediary between the Exchange server and the email client. 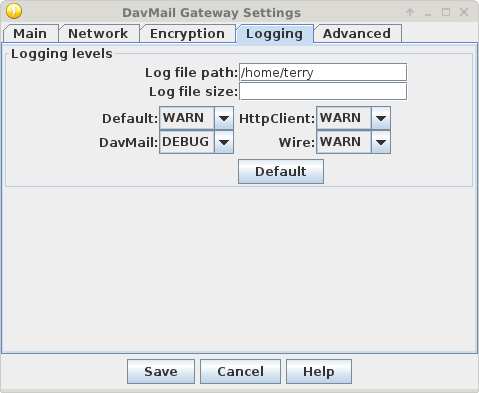 I won't go into how to install DavMail or Thunderbird, but here are the settings I used to get things to work here. If you have any other insights or tips for me to add to the page you can contact Terry Sturtevant . Any time "password" is mentioned, it means your ActiveDirectory password. 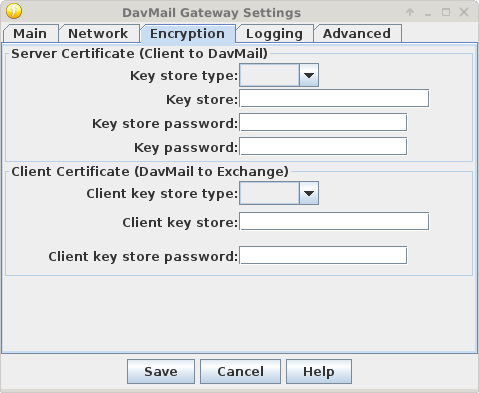 Note: For security, I have it set up so I have to type my password each time, but changing that should be just in Thunderbird; DavMail just passes it on from there. Here's the Logging tab: I only added a log file path. Without that it seems to not create any log files at all. Here's the Advanced tab: Note the AD.wlu.ca in the default windows domain field. Here are the Account settings I used: Normal settings here. 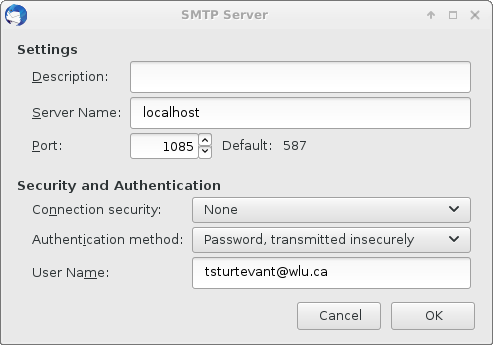 Here are the SMTP (i.e. 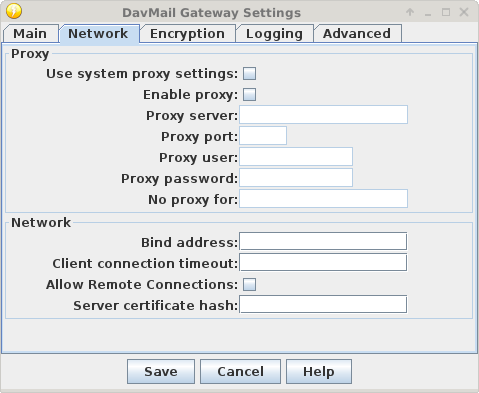 outgoing server) settings I used: Note the my username is my complete email address, as for the incoming server settings. This worked for me as of February 4, 2019.